Mahatma Gandhi wasn't just concerned with resisting the English occupation of India. He was also concerned about the self development of the people. For him, it was two sides of the same coin. He once described it as walking on two legs. You wouldn't be balanced with only one. The campaign for independence required active nonviolence, what he called Satyagraha or the force of Truth. The self development campaign was aimed at the universal uplift of all strata of the society, self determination and equality for all. It was called Sarvodaya. Even after Gandhi's death, his followers carried on this idea of Sarvodaya throughout the country. I've witnessed countless cottage industries in practically every state in India where the program spread and brought a subsistence level of living to those who were hopelessly poor and destitute. It might be a weaving industry or an agricultural cooperative or a recycling operation where everything (I mean everything) is repurposed in some incredibly creative way. One such cottage industry was solar ovens. I recall seeing demonstrations of those low tech operations on visits to India in the 1980's. It was a way followers of Gandhi were bringing development to every strata of society. Rural communities could produce, distribute and use them. One or two responsible people could do the necessary oversight of the construction and training. It was self development at it's best. It even got exported to other lands as people realized that universal uplift was the pathway to happier and healthier societies. 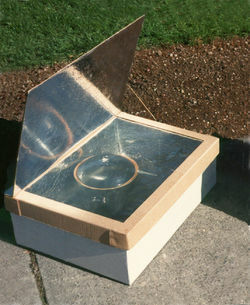 Those of us right here in Brookings, South Dakota have our own incarnation in Haiti Solar Oven Partners. Here is a local cottage industry that has helped bring solar cooking to the people of Haiti for the last 15 years. Now the Partners are in the process of transitioning to new countries and peoples. If you haven't had some banana bread or chocolate brownies cooked in a solar oven, then you still have a treat in your future. And if you lived in poverty, without access to clean water, boiling water in a solar oven could save the lives of your children. Lives can be saved; healthier societies can be created; economies of scale can be introduced; if we access even modest resources for the common good, for lifting up all. I'm thinking about all that free sunshine that blesses us most days in South Dakota, that modest and unclaimed energy resource. Why we couldn't be a leader in solar energy is beyond me. It took us years as a state, watching our neighbor to the east installing wind turbines and profiting from them in myriad ways, to begin accepting the idea in our own wind driven state. Now we continue to sit on the sidelines as solar becomes commonplace elsewhere and cottage industries develop all over the planet. Even for those who don't accept climate change and aren't invested in the development of all, there's reason to look at solar as an alternative energy source. It's cheaper! "I'm probably the furthest thing from an Al Gore clone you could find," says Jim Briggs, interim city manager of Georgetown, Texas. 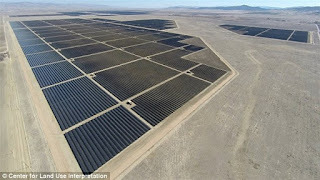 This small community of some 50,000 people is going 100% renewable in a state best known for it's fossil fuel industry. "We didn't do this to save the world," Briggs says. "We did this to get a competitive rate and reduce the risk for our consumers." Since the Georgetown utility company is a city owned monopoly, in examining their options last year they discovered renewable energy was cheaper. By January 2017, SunEdison (not a cottage industry but a giant multinational) will bring their renewables to 100%. In 2014 they had already signed on with a nearby wind outfit. They'll have sun by day, wind by night. It sounds sensible! A record amount of solar power was added to the world's grid last year. Total cumulative capacity is 100 times more than it was in the year 2000. Many are convinced the tipping point has now been reached that will allow for the rapid expansion of the technology and the continued descent of the cost. If we could just convince the decision makers we need net metering in our state, so rooftop and other smaller solar installations were more economically accessible, we might give our citizens a bit more self determination about their energy sources. And if we could get some sensible local ordinances passed about individual wind energy, it could be comparable to getting a solar oven in Haiti. 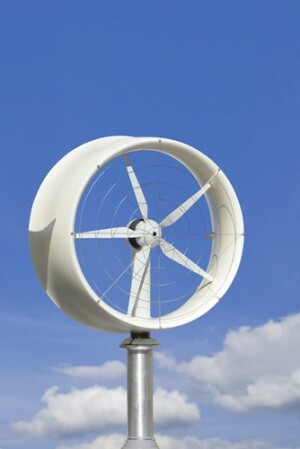 People have satellite TV receivers on their roofs, why not small scale wind systems?